... especially when hungry zombies are nipping at your heels! Thoughts. Refreshing take on zombies. And bloggers, for that matter. 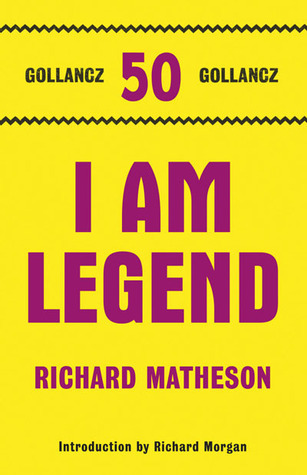 Loved the characterization and intense narrative, still somehow the book endlessly dragged. It's not a small book either. And after five days on it, I dreamt about running through an abandoned Mall with a useless plastic gun, trying to fend off flesh-eating ... you get the idea. Random quote. Journalists: as dangerous as zombies under modern American law. Verdict. Gripping if somewhat slow going zombie romp! Thoughts. Another zombie book? After that nightmare caused by the last book? Why, yes ... I'm one tough reader! People suddenly acting strangely, all in the middle of nowhere, and yes, I am once again glad I'm a vegetarian ... uhm, I guess now it's too late to write *spoiler alert*. First line. Surrounded by whipping sand and dust, the brown sign stood resilient at the town's perimeter. Verdict. Promising idea, good writing, but much too short! Thoughts. This is horror. And don't confuse the book with the movie. Those are two completely different pairs of shoes. While both are scary, this one is creeping up on you not because of those vampires lurking attacking and the general blood fest, but solely due to the solitude the main protagonists has to bear. Random quote. After lunch he went from house to house and used up all his stakes. He had forty-seven stakes. Verdict. Gripping horror of the non bloody kind! Yay me! It was strange as it's a great and powerfully written novel, but like I said, somehow it just really dragged and I have no idea why. Maybe the cold temps are freezing my brain, hahaha! 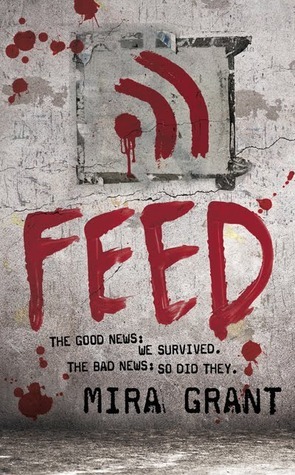 I loved the journalism side of Feed, thought it was very interesting zombies aside. I don't think it's meant to be face paced tbh and I know a lot of fans of traditional zombie novels didn't love it. The Reading Files - Have a cozy new year! The Postman Files - The one with the cards! Pajama Musings - Bookishly challenged? This isn't Fiction - Cover me in ... animals! A Writer's Life - This one is so not about me! This isn't Fiction - Let's talk ... preferences! The Postman Files - Just call me book hoarder! The Reading Files - Elementary, my dear Watson! Pajama Musings - I beg to differ! Quote Garden - Burn baby burn!